Cubic inspired generosity twisting Rubik's visitor center in Australia Archi-new - Free Dwg file Blocks Cad autocad architecture. Archi-new 3D Dwg - Free Dwg file Blocks Cad autocad architecture. 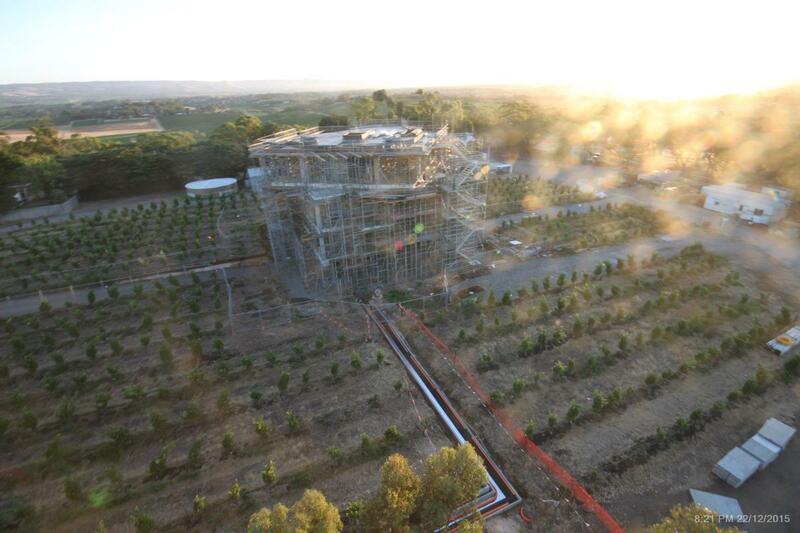 South Australian winemaker d’Arenberg is hoping to create a new national landmark by building a twisting new visitor centre mimicking a Rubik’s Cube. Nic Salivati from ADS Architects has designed the five-storey d’Arenberg Cube, which is currently under construction in McLaren Vale, a wine region in the Fleurieu Peninsula. The centre – which will contain a wine tasting room, several bars, a restaurant and a viewing gallery when it opens in late 2016 – overlooks a rolling vineyard and the 19th century homestead housing d’Arenberg’s wine cellars. Its top two storeys are turned askew from the rest of the building to resemble the famous 3-D combination puzzle invented in 1974 by sculptor and architect Erno Rubik, and a storage building in the car park will resemble a block which has fallen out the cube. The exteriors will feature an intricate diamond pattern, with the bottom storey clad in reflective glass and set back from the ones above to create the illusion that the cube is floating on top of the surrounding vines. “I’ve always considered winemaking to be a puzzle that needs to be put together, as it’s a complex combination of geographical elements like soil and geology, viticulture, blending and balance,” said d’Arenberg’s chief winemaker Chester Osborn, who first proposed the plan a decade ago. The new centre has been designed as a landmark tourist destination for the region, and has received AUS$2m (US$1.5m, €1.3m, £970,000) in funding from the South Australian state government. The total cost of the project has been reported locally as AUS$11m (US$8m, €7.2m, £5.3m). Australian firms Sarah Construction and CPR Engineers are collaborating on the project. A time lapse camera has been installed on the property by Logic Films to capture the progress of construction, with an updated photograph taken every 10 minutes.